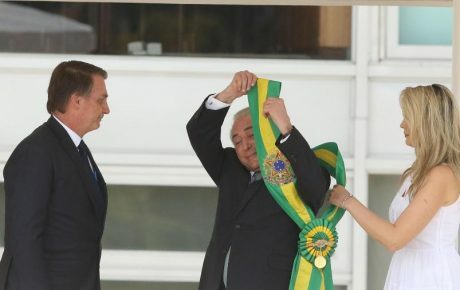 The new president Jair Bolsonaro was sworn in on January 1 and has already gone to work rearranging the 22 ministries of his cabinet. However, any actual lawmaking will have to wait until February, when the Legislative branch returns from its holiday and a brand-new Congress is sworn in. And the first order of business of a new Legislature is among the most important: the election of the House Speaker and Senate President. The dispute in the lower house has made headlines, with at least six candidates vying for the job and plenty of repercussions for the government depending on who comes out on top. 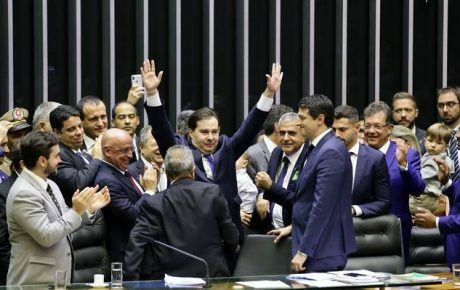 Looking through the potential Speakers, we have the incumbent Rodrigo Maia (the preferred option of the president’s Social Liberal Party), Fabio Ramalho (Mr. Bolsonaro’s personal favorite for the job), and Arthur Lira, who is likely to be backed by the majority of the opposition. Glancing further down the list, we come across the name of Kim Kataguiri, a first-term congressman among a group of skilled and experienced political operators. At just 22 years old (he will turn 23 at the end of the month) he is hoping to become the youngest House Speaker in Brazil’s history. Does he have a shot? Well, no. Not in the slightest. Kim Kataguiri is the poster child of a new generation of young Brazilian reactionaries who have sprouted up on social media. 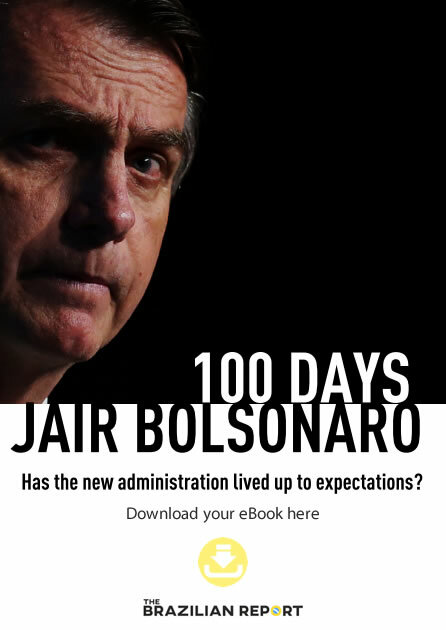 After over four years in the spotlight, building his fame mainly through outspoken YouTube videos, he has gained an army of followers—and a potentially larger mass of haters—and he is set to be one of the faces of the Brazilian reactionary right for many years. This right-wing wave germinated out of the rubble of the 2013 bus fare protests, which were led by the Free Fare Movement (MPL). As the demands of the masses became more and more dispersed, the so-called June Days protests morphed into a denunciation of the political class as a whole. Groups representing political parties or trade unions were muscled out of street demonstrations, leaving a vacuum of ideology and leadership. As the left-wing parties were the only ones with any kind of real militancy in Brazil, the “sem partido” (no political parties) protests inevitably veered to the right. The new targets of the demonstrations were the governing Workers’ Party and then-President Dilma Rousseff, who was preparing to run for re-election the following year. When Ms. Rousseff was in fact handed another four-year term by over 54 million Brazilians in October 2014, Kim Kataguiri and his chums took to the streets. Calling themselves the Free Brazil Movement (MBL), an obvious riff on the leaders of the bus fare protests, Mr. Kataguiri and his friends used Facebook to organize marches the week immediately following the election. Despite being relative unknowns, the demos attracted significant numbers, well into the thousands. Suddenly, Kim Kataguiri and the MBL gained more and more popularity. News outlets scrambled around to find out just who these young, conservative upstarts were. El País Brasil called them the country’s “hipster” right, “easily mistaken for indie rock stars.” The Associated Press referred to Mr. Kataguiri as the “face of Brazil’s young free-market right,” before TIME Magazine placed him among its list of the 30 most influential teenagers of 2015. Defending public spending policies as tight as their jeans, the MBL boys attempted to popularize the theories of classical liberal economists—such as Milton Friedman, Ludwig von Mises and Friedrich Hayek—among young Brazilians, largely using YouTube as their delivery method. One of the motivations for creating MBL was a belief shared throughout the Brazilian reactionary right: that the left had “co-opted” culture, education and the arts, “anything which is considered cool or modern.” The group doesn’t go quite as far as calling this perceived process “cultural Marxism,” one of the preferred buzzwords of the MBL’s more extremist colleagues on the right (and in the presidency), but the sentiment is the same. MBL seeks to take Brazil’s famously cutting internet meme culture and use it to defend free market values, which, as you’d imagine, is just as fun as it sounds. In what was truly the first general election influenced by social media in Brazil, 2018 saw this cadre of YouTubers transitioning into elected public office. Kim Kataguiri, for instance, was elected to the House of Representatives with over 450,000 votes in São Paulo, making him the fourth-most voted representative in that state. He won 12,000 votes more than Tiririca, a famous clown who transitioned into politics. Representing the right-wing Democratas (DEM) party, Mr. Kataguiri has already made a bunch of enemies in Congress, and he hasn’t even been sworn in yet. Besides launching his own candidacy for the role of House Speaker—one of the most important offices in Brazilian politics and never given to anyone without vast experience in the legislature—he caused a fuss by filing a request to the Supreme Court to change the rules of the Speaker election. In the House, the Speaker is always chosen by a secret ballot. 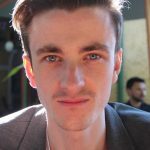 The 22-year-old newcomer reckons this should be scrapped, and the election made public. The Supreme Court denied his request, but the newbie congressman will appeal. He has also filed a lawsuit to lower the minimum age for the position—currently 35 years old. That’s because, after the Vice-president, the House Speaker is next in the presidential line of succession. As the minimum age for Brazilian presidents is 35, the Supreme Court understands that in order to be House Speaker, politicians must meet all the requirements to be president, as well. Mr. Kataguiri’s actions have infuriated no-one more than the members of his own party. 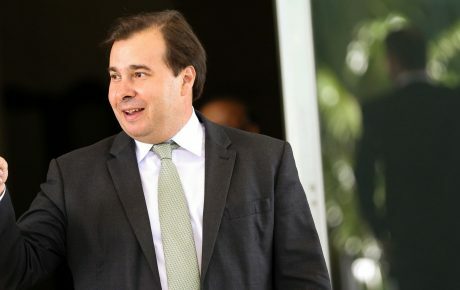 The favorite to win the Speaker election is incumbent Rodrigo Maia, also of DEM, and his best chance of winning in the first round is if the ballot remains secret. While Mr. Maia has the public support of several parties, it is the behind-the-scenes negotiations with individual politicians that he is counting on to push him over the line. If the vote is secret, congressmen can vote for Mr. Maia without fear of being punished by their parties—or by anti-establishment voters who don’t want to see an old timer get another term ahead of the lower house. By not only standing against Rodrigo Maia, but also threatening to lose him the election by demanding a public vote, Kim Kataguiri is already treading thin ice within the Democratas party. However, while his days within DEM may be numbered, there is no doubt that MBL is here for the long haul. Closely linked to São Paulo governor João Doria—who wants to be president in 2022—the hipster reactionaries may well meme themselves into the presidency.